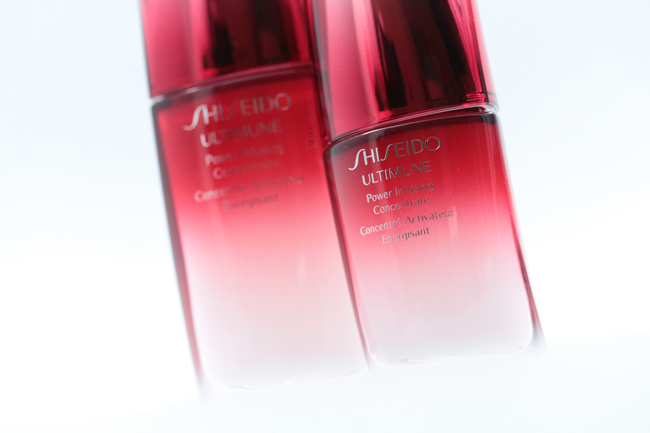 Shiseido's new Ultimune Power Infusing Concentrate is a one-of-a-kind, boosting, power-infusing face concentrate for youthful looking skin. 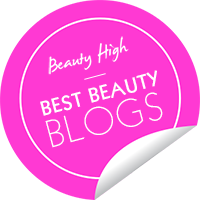 In case you haven't heard, skincare boosters are the new generation of 'must-have' products because they supercharge your skin. Ultimune takes it one step further with a new preventative approach to skincare by focusing on immunity. With Ultimune, Shiseido embraces an Eastern holistic philosophy that aims to unleash the skin's potential power to become beautiful with a unique botanical cocktail. Gingko biloba leaf extract, perilla, and wild thyme, which are known for their strong anti-bacterical properties, will help maintain a healthy-looking skin surface. Ultimune is intended to resist, protect, restore, and strengthen, leaving skin feeling silky and nourished. The treatment enhances the skin's essential multi-defensive power against visible signs of aging, environmental factors, and daily stress. Best of all, Ultimune is designed for all skin types and age groups, regardless of skin concerns. It can be introduced into any skin care regimen and will boost the performance and benefits of any serums and moisturizers that follow. I remove my makeup with a cleansing oil, wash my face with a liquid or cream cleanser, and then apply the Ultimune after toner. The consistency is light, so it absorbs quickly and does not leave any residue or glitter on the skin. After a couple weeks of use, my skin's texture was smoother and more consistently moisturized. I suffer from dry patches around my nose and near my eyes, and I can positively say Ultimune did help treat them. My skin looked clearer and more even toned as well, with my pores looking smaller than ever! I do not have wrinkles, but I do find that my skin feels more resilient. Also worth mentioning is that the scent is subtle — perfect for those with sensitive noses! Shiseido claims that immunity is your skin's ultimate defense against damage. I always preach prevention, so this new Ultimune Power Infusing Concentrate is a great place to begin or amp up your skin care journey. Never forget the sunscreen and unleash the #beautyinyou with Ultimune! Apply both day and night for best results. 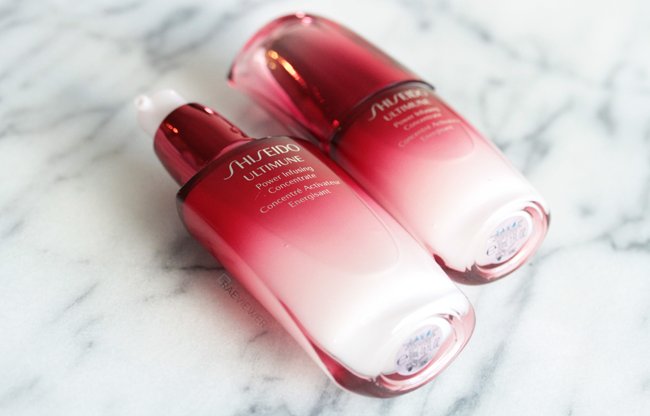 Bottom Line: Not only will Shiseido's Ultimune enhance your skin's immunity and shrink the appearance of your pores, but it will also give you a boost of confidence! 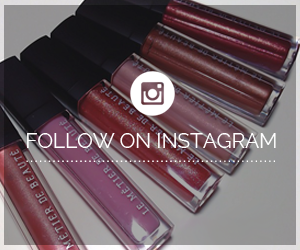 Disclosure: This post was sponsored by Shiseido through their partnership with POPSUGAR Select. 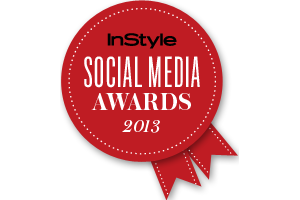 While I was compensated to write a post about Shisiedo, all opinions are my own. I've tried a sample and I absolutely loved it! I switch around my serums depends on my skin condition, but I'm currently using Lancome Genifique as well as Cle de Peau Brightening Serum, and rarely La Mer. 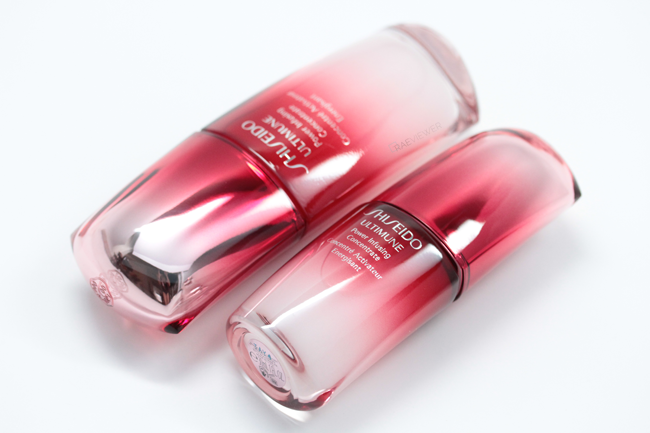 I have to say that this Shiseido's latest launch feels the lightest on the skin.